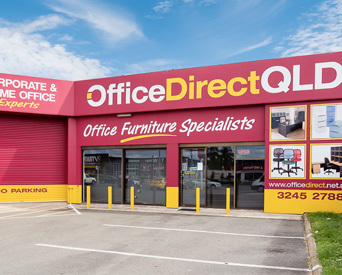 Office Direct have been suppliers of commercial office furniture and workstations online for 11 years. We have many solutions available for your office needs, and we can customise to suit you as well. Standard orders typically take 2-5 business days while custom orders take 10-15 days. If your order is over $1000, we will deliver and install your furniture for free. If your orders are under $1000, we charge a $49 fee for delivery or a $99 for delivery and assembly. Office furniture should provide functionality that improves productivity but creates an environment that is welcoming and comfortable. You will want to choose a style that is timeless and lasts for years with no need to reorder due to shifting trends. Your lobby or reception area is the first place clients get a feel for your business, and it can make a great first impression if designed correctly. Chairs should be comfortable and abundant enough that guests don’t feel crowded. Even though wood or plastic is typically easier to clean you may want to consider chairs with cloth upholstering to dampen sound or phone conversations. Instead of having the usual TV in the corner you may want to have small private viewing stations with smaller monitors on which your clients can view company videos or similar business-specific content. You can also provide tables that are convenient for laptop use and have charging and USB ports available. You don’t want your clients searching the walls for outlets. Workstations can make or break the flow of work within an office, and you should carefully consider the needs of your employees when redesigning your space. For example, we can help you design commercial office workstations for teams who collaborate often or for people who mostly work on solo projects. Your employees are your most important resource, and they deserve an environment that is conducive to the work they do. We are experienced office designers and have solutions for all your commercial office furniture needs online so that you can look through options at your convenience. You can view all the types of products we offer to get an idea of where to start. If you need help, we are available to serve you in a variety of ways. Our experienced staff can come to your office to advise you and give you a free quote. If you cannot find a solution from the many styles we have online, we offer custom office furniture designed for your individual needs, and we will tailor a solution to your requirements for free. We can even order express delivery if needed. Redesigning your commercial office space can feel stressful, but it doesn’t have to be. We will help you create a modern, efficient, and comfortable space at affordable prices. Contact Office Direct, and we will send a friendly and knowledgeable team member to visit your location and turn your vision into a reality.